Thank you so much for writing this recap, Melissa @ Harley Bear Book Blog! Wren died at 12 yrs old when someone shot in the slums of Texas. Since she had the KDH virus in her she rebooted after 178 minutes which is the longest anyone has been dead before rebooting. She is least human and most lethal in the HARC building where she lives and is a slave to the government. Now she’s a bounty hunter for Officer Mayer the leader of her division of HARC and enjoys chasing her prey. Callum, Twenty-two, still feels most human emotions because he wasn’t dead too long. So he doesn’t want to kill anyone. Since Wren’s his trainer it’s her job to make him better or eliminate him. She’s falling for him and doesn’t want to kill him, but he won’t change so she helps them escape to the reboot rebel camp that Leb, the human guard, says exists. Ever since the KDH virus took hold of the world, HARC has closed off borders so the virus did not spread. It killed off a lot of people and made things like meat scarce. Lots of people are poor. There are the slums which Wren lived in before rebooting. And then there are the ricos, the rich part of town, where Callum lived (but we find out not all rico kids were rich). Wren’s parents were druggies and she was shot in the slums three times in the stomach. She woke up 178 minutes later in the Dead Room because they thought she had died. Rebooting is when your body has the KDH virus or had it at some point and when you die it restarts your body…making it faster, stronger, able to heal faster, etc. The longer you’re dead the less human you are when you wake up. For some reason there doesn’t seem to be any reboots over 20 at HARC and Wren thinks it’s bc adult reboots can’t adapt as well and are more aggressive. When reboots turn over 20 they are taken away from HARC and never seen again. Wren is shortish, blonde, and pretty. She is lethal, but lots of people that don’t know her underestimate her. Everyone at HARC is kind of scared of her. Except her roommate Ever. Ever is her best friend. But Ever is under 60 so she gets the experimental shots which slowly make her crazy. She attacks Wren in their room a few nights trying to eat her basically. Ever eventually goes crazy and shoots up the guards and then is killed. Wren is devastated. She’s also feeling emotions more now that Callum has arrived and she’s falling for him. She had decided to be his trainer because “she wanted to see if she could make a lower number better”, but really she was just intrigued by him. Callum doesn’t want to kill anyone and refuses. Officer Mayer says if he doesn’t then Wren will be forced to “eliminate Callum”. The only way to kill a reboot is to shoot them in the head so she’ll have to do that to him. Wren has put up with living like a slave because it was better than being in the slums like her human life, but now that she has more to live for she doesn’t want to be there anymore anyway. Wren makes a deal with Leb, the friendly human HARC officer. She tells him she’ll rescue his daughter Addie who is also a reboot and they’ll all go to the rebel reboot compound Leb says exists. He gives her a map, a tracker locator, and guns and they go rescue his daughter. They escape the officers and are able to hide. On the way they stop to see Callum’s family. His family want nothing to do with him anymore and he’s so sad. They stay at his old house one night where they start to get romantic, but Wren isn’t ready to let Callum see her scarred stomach. He starts going wild from the shots they gave him. He kills a human. Wren cries (which is a big deal since she never has such strong emotions) when she thinks Callum is gone for ever. When Wren, Callum, and Addie finally get the rebel’s help they say they’ll help them get the medicine for Callum, but they’ll have to break into HARC to get it. Wren decides the best way to do this is to free all the reboots there. Tony works for HARC but is a double agent, is nice and wants to help Wren. Desmond doesn’t want to and think they’ll all get killed. Gabe is a teen boy who is hesitant about helping too. When they break into HARC Addie is shot in the head. Addie goes up stairs to help free the reboots and fly the shuttle to the rebel reservation. Wren goes to the medical lab to get the antidote for Callum. Wren gets a human to tell her where the antidote is, but he locks her in the room and calls Officer Mayer to tell him he has 178. She escapes. Addie has succeeded in freeing the reboots. Wren gives Callum the antidote and it works. Addie flies one shuttle and Wren the other. They land and see a sign that says REBOOT TERRITORY. ALL HUMANS TURN BACK. Com – an ear divice that the officers use to communicate orders to reboots during missions. KDH Virus – the virus that if it’s in your system could make you reboot. HARC – the government organization that “protects” the cities from further spreading of the KDH virus by capturing those trying to go across borders that they have sealed. Shuttle – the flying transportation the officers use to get the reboots to and from their missions. Thank you so much. About to read Rebel, and this was just the refreshment I needed. Jeez, apparently I forgot half the book! Now I can start Rebel. Thank you for this! It’s been ages since I read Reboot and I’d forgotten half of what was summarised here! Thank you for this, really helped me out. Just posted my review for the second one. Thanks so much for this! 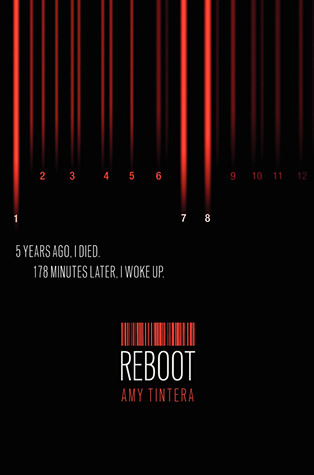 Going to start REBEL and it’s literally been years since I read REBOOT!